Today, I'm celebrating National Classic Movie Day (it's May 16) with an article about my top five favorite movie stars. 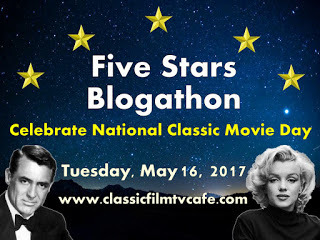 This article is part of the Five Stars Blogathon hosted by Classic Film and TV Cafe. More than half a century after old Hollywood's golden age, there's still nothing quite like the glittering array of movie stars who appeared on the silver screen. To celebrate National Classic Movie Day, I've chosen five of my favorite stars and included films that you can watch from each actor (the titles are in bold print). 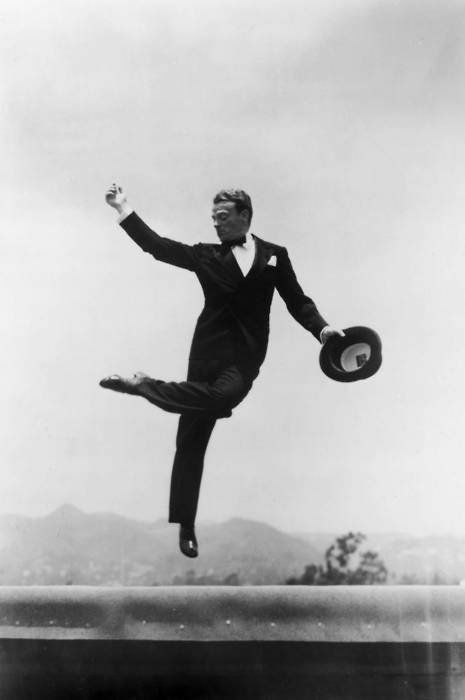 "I draw upon all I've ever known, heard, seen, or remember," Cagney on acting. Perhaps the greatest actor ever to step foot on a Hollywood sound stage, Cagney was a vaudeville hoofer from a working-class Irish-American family who got his big break when director William Wellman gave him the lead role in the gangster film, The Public Enemy (1931). His galvanic performance as bootlegger Tom Powers made him an instant star, and he continued his dynamic portrayals of defiant, angst-ridden hoods in Angels with Dirty Faces (1938), The Roaring Twenties (1939), and White Heat (1949). The multi-talented Cagney won his only Academy Award for his energetic portrayal of Broadway showman George M. Cohan in Yankee Doodle Dandy (1942). "If I can't be me, I don't want to be anybody," Joan Crawford. Forget all that you've heard about Feud and Mommie Dearest: This San Antonio, Texas, native (birth name: Lucille LeSueur) is simply the greatest movie star of them all. She started off as a flapper in silent films, and, after the arrival of sound, became one of MGM's top stars in melodramas like Possessed (1931). She was a heroine for legions of secretaries, department store clerks, and waitresses who deeply identified with her proto-feminist roles in films like Mannequin (1937), The Women (1939), and Mildred Pierce (1945) in which she played women of humble origins who succeed in a man's world. Throughout it all, she never stopped learning her craft. 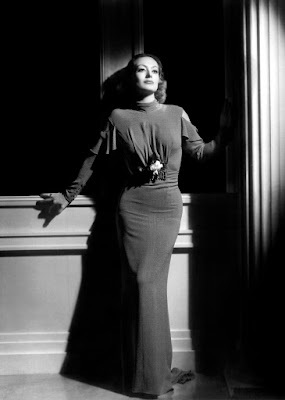 Watch her in the melodrama Humoresque (1946) for a knockout mid-career performance as a thwarted socialite who is ruled by her tragic passions. My dear old Frankenstein monster. I owe it all to him," Boris Karloff. Old Hollywood horror films are filled with sensational actors (Lon Chaney; Peter Lorre), but none were more iconic than this son of an English diplomatic family (real name: William Pratt). 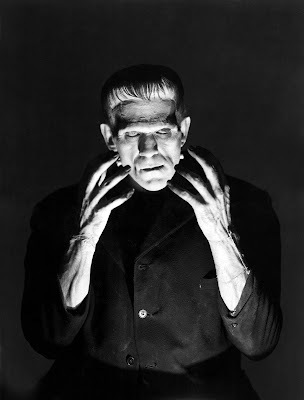 His role as the monster in Frankenstein (1931) made him an international superstar, and, over the course of his 30-year career, Karloff made a gallery of grotesques intimately human; while Karloff certainly scared audiences, he could also make them cry. His greatest performance is in The Bride of Frankenstein (1935), but he was also unforgettable as a lovelorn ancient Egyptian in The Mummy (1932), as a sadistic satanist in The Black Cat (1934), and as a Victorian grave robber in The Body Snatcher (1945). 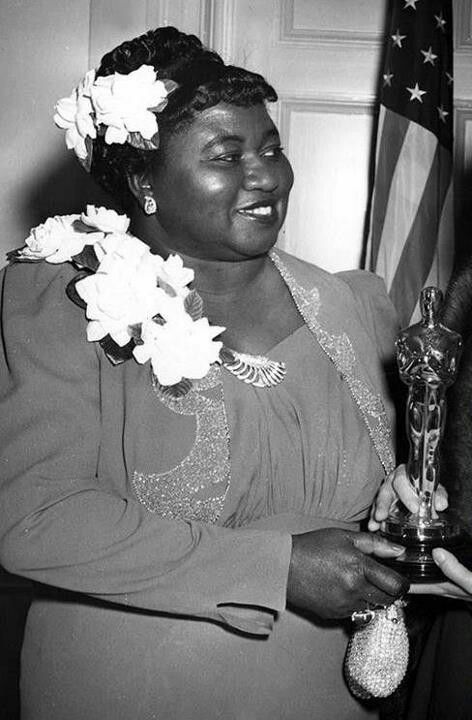 "I did my best, and God did the rest," Hattie McDaniel. This Kansas-born daughter of a Civil War soldier was a popular radio singer -- you can hear her sing in the 1936 version of Show Boat -- until the onset of the Great Depression, when she was forced to take often humiliating bit parts in Hollywood. She made her first real impression as a flustered maid in the Katharine Hepburn drama/comedy Alice Adams (1935), but she will forever be remembered as the redoubtable Mammy in Gone With the Wind (1939) for which she became the first African-American woman to win an Oscar. McDaniel became a household name in the fifties TV series Beulah, but her best later film role was as a mother whose son (Ernest Anderson) is wrongfully accused of murder in In This Our Life (1942). "People have always loved our pictures. Perhaps that's because they saw how much love we put into them," Stan Laurel. 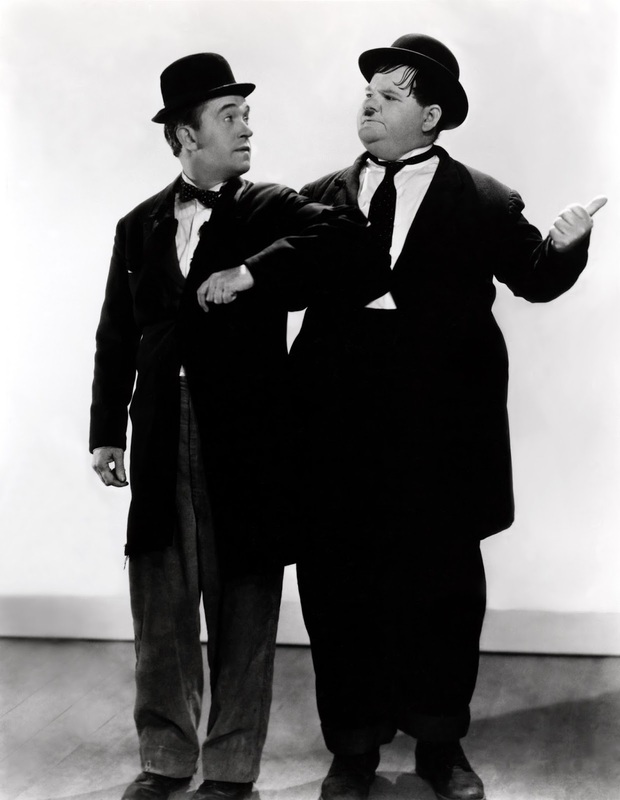 The "Thin One" and the "Fat One" first started working together when they were both under contract to producer Hal Roach. The unexpected chemistry between the offspring of an English theatrical family and the son of the American South soon led them to become a popular team in silent shorts. They were even better in sound -- Stanley was the master of the verbal malapropism while Ollie had a beautiful baritone that made some of their films quasi-musicals -- and none of their considerable charms has diminished over the decades. Their masterpieces are the short The Music Box (1932) and the feature Sons of the Desert (1933), but they are delightful in dozens of films. Don't miss the boys getting smashed in Blotto (1930), the "soup to nuts" sketch in A Chump at Oxford (1940), and the Christmas classic, Babes in Toyland (1934). There's no better way to celebrate National Classic Movie Day than with a L&H musical number, so here's "Shine On Harvest Moon" in Flying Deuces (1939) to play us out. Boris! The boys! The greatness of Cagney, Hattie and Joan! That is quite an impressive list. A list that I can tell was made from love. IMHO, they are all underrated, especially L&H who don't get the attention they deserve compared to Chaplin, Keaton etc. Boris and Hattie. It does not get more diverse than this. Nice list! Laurel and Hardy, and Hattie! Great selections, Amanda. My sister and I were watching Joan in When Ladies Meet and I was marveling at how much emotion she was able to convey in just a glance. A real legend. You're welcome. The boys always brighten my day. I love your variety of stars! You're very honest because many would lump Laurel and Hardy together! Nice to see them as separate artists on this post!